Our annual Warm up party is coming up next Friday. We know, normally we would have our annual warm up party on the Friday before the Lighting Parade. However, this year we needed to adjust our program due to unavailability of the location we want to hold the party at. 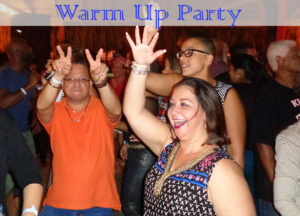 So please take notice that the warm up party will take place on January 26, 2018. This is the day before the Caiso & Soca Monarch 2018.